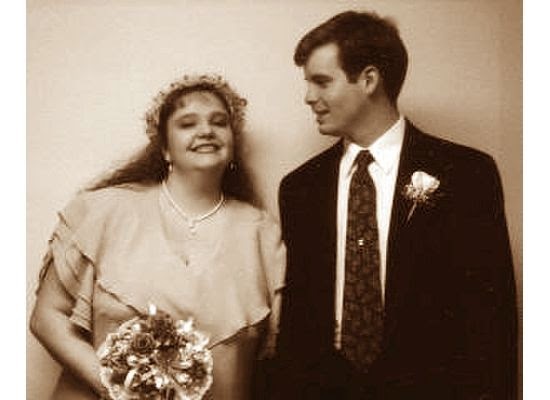 This week, your father and I will celebrate 23 years of marriage. So I thought I might pen the story of how we met. I met your father in a Friday night History class at a community college in Northern Virginia. He was in a Navy uniform. He and I were kind of the minority in the class, as in most of the other students were Asian or of another nationality … and I remember looking at his name written/sewn on his uniform … Higginbotham! I remember making an off-handed comment to a girl that I felt sorry for the woman who married him and got that last name, lol. Little did I know that his future wife would indeed be ME. Do you know that in this History class we were 23 years old. Hardly teenagers, we had both been out on our own and lived away from our parents. However; your father wrote me notes in class. I thought it was so cute. I think I saved such and have a copy of them somewhere. I remember absolutely dreading that Friday night class; but somehow meeting this handsome young sailor made it suddenly quite interesting. Even if the professor was rather strange and often fell asleep while talking or playing movies for us to watch.